In the spirit of Throwback Thursday, I would like to share a story about a man who woke up one morning with a head full of ideas and started making plans. This man decided that he wanted to ride his horse across the United States. In ordered to pursue his dream, he bought or borrowed every book he could find concerning horses, especially books dealing with packing and endurance riding. He read “Horseback Honeymoon” and the “The History of the Horse in the Military”. He also read packing manuals and the “Official U.S. Cavalry Manual of Rules and Regulations”. He studied old photos and drawings of every type of saddle, learned the names of different styles of bits. Then he bought and tried equipment, modified it to suit his needs or discarded it. He met with horse owners by the score and picked their brains for information. At the same time, he conditioned himself and his horses, riding a few miles at night after work, twenty miles trips on the weekends, testing tack and camping equipment, gearing everything to ruggedness and weight. These trial runs were also a test for his horse, Sabrina, an Arabian mare. However, she was afflicted with the nervousness common to Arabians. During these rides, he realized that he needed stout horses with long strides, endurance animals that can cover distances day after day. With this realization, he ended up selling Sabrina and got a couple of Mustangs from the Bureau of Land Management mustang adoption program. Once he was satisfied that his two new horses were solid animals with strong legs and good feet, he realized that he was as ready as he’d ever be. Since he was already behind schedule of his original starting date of early February had long since come and gone, he already quit his job and so was spending non-replaceable funds, and if he started too late he would not each his East Coast destination until well into the snow season. So, he finally gave away or sold almost everything he owned, loaded what left into two hand-made panniers and rode off into the sunset starting from Santa Monica following old Route 66 via the railroad embankments. The first week’s travel found him with a lame horse, thundershowers which kept everything he owned soaked for days, an encounter with quicksand and alarming weight loss in one of his horse, Spooky. 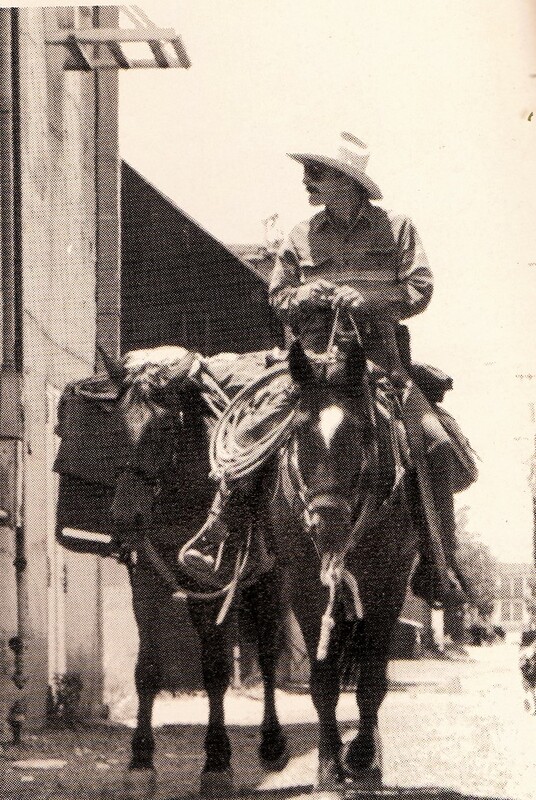 The latter proved to be a problem because he originally planned to alternate his horses, riding one and packing the other, but the weight loss in Spooky prevented the riding saddle from fitting properly. 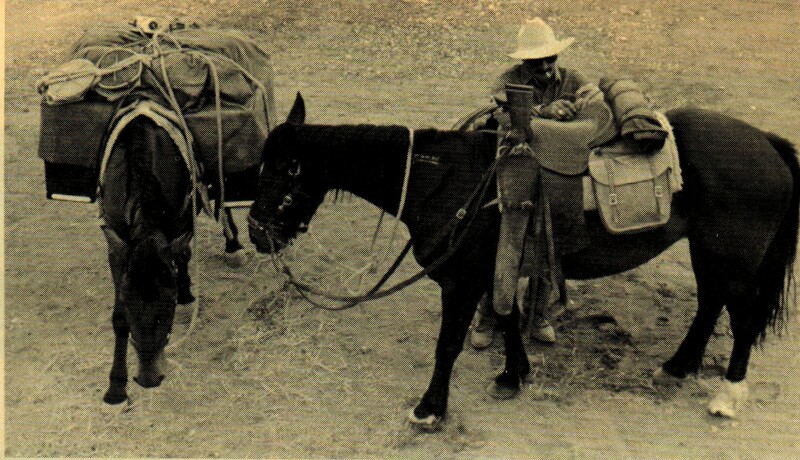 Since, the pack saddle’s flexible design, it allowed him to continue the trip using Spooky as a pack horse and other horse, Cinnamon, as his riding horse. Early in his trip, a road-wise dog of indeterminate origin decided that trotting along with him and the horses all day was a better life than the one she had been leading because the horses would scurry up the small games for her to chase. Despite her size, she gamely kept up with the long stride of the horses, so he decided to adopt her as a permanent member of the expedition. He began sharing his food with her (or sometimes, she shared hers with him) and he named her Speedbump, based on her penchant for traveling down the white line of the highway and being absolutely fearless in the face of oncoming traffic. After five months on horseback, he had pared down his necessities to the minimum. Along the way, he would ship off any equipment that have been proven unnecessary. He had gotten horseback camping down to an art. 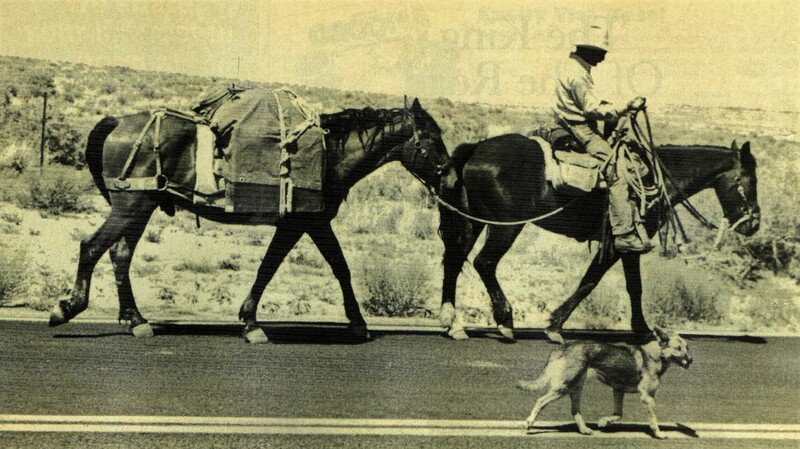 However, even with dumping unnecessary equipment, his pack horse, Spooky was still losing weight which was proving to be a problem. 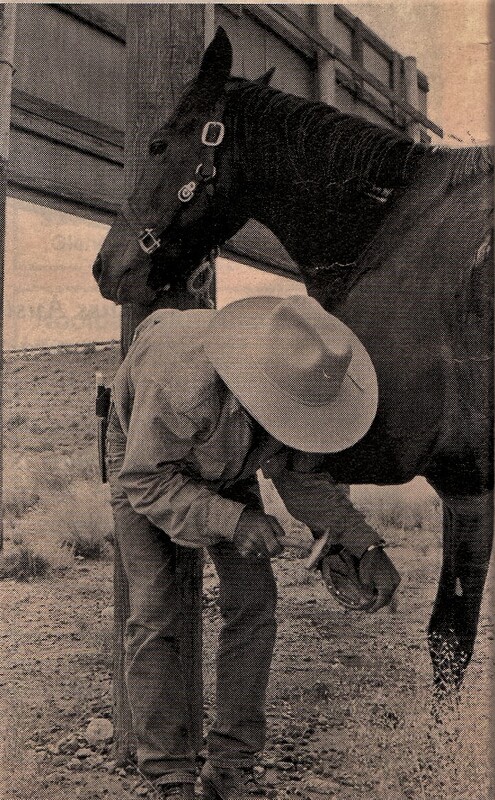 When he planned for this trip, he had figured heavily on range grazing for the horses in order to cut down the cost of grain and the problems of carrying it. This system worked well for his older horse, Cinnamon, who would eat whatever was available and suffer no ill effects. Spooky, on the other hand, was a picky eater. To compound the problem, he was still a young horse, and consequently needed more nutrition than his other horse. He, himself, was beginning to feel the effects of five months in the saddle. He has lost a total of thirty pounds since leaving California in May. He was riding an unpadded saddle, and by the time he reached Santa Fe, New Mexico, he had none of his own padding left, either. 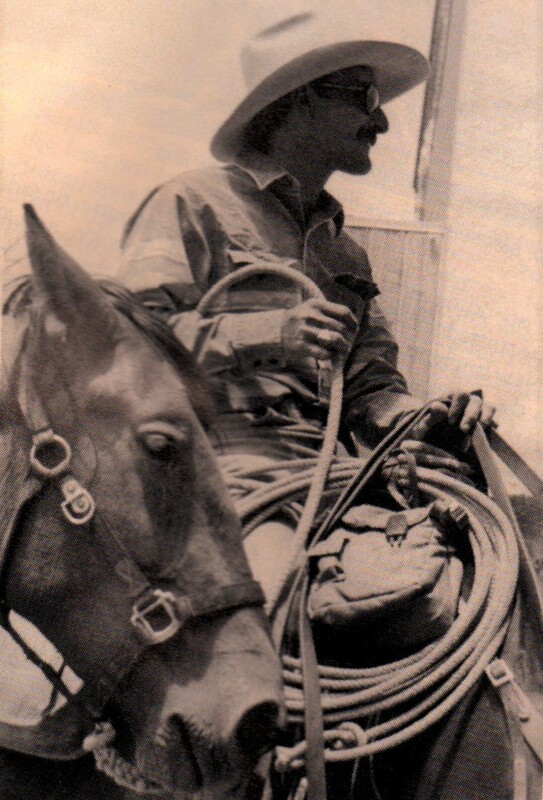 It was getting harder to spend eight or ten hours a day in the saddle. So he shortened his daily mileage, extended his rest stops by a day or so, and anything to keep Spooky and himself healthy and strong. Slowly, reluctantly he came to a few stark realizations. He was facing over 2,000 miles and another six to eight months of travel and he could not judge the toll it would take on himself or Spooky. Spooky although still healthy, would probably be seriously damaged in another few weeks. He was simply too young to endure the prolonged physical stress of the trip. Plus, he was running seriously short of funds. Feed expenses, replacement of gear and other unexpected costs has depleted his funds faster than he had hoped. In addition, the late start had set him on a schedule which would leave him traveling through snow during the last months of this trip. In the end, he came to realize that this was not an endurance test or a ride to set a record. It was simply supposed to be an adventure. Nothing was worth the cost of a horse, and the country would still be there for him to explore at a later date. He decided to postpone the remainder of his journey and head home. 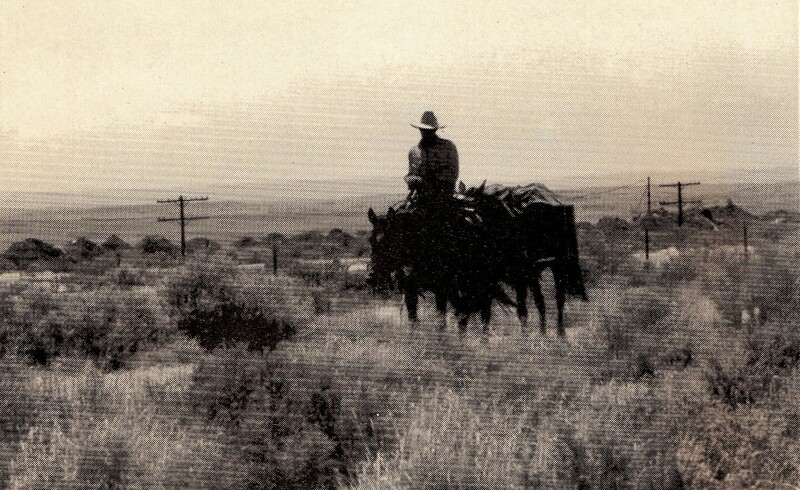 So, you’re probably wondering who was this guy that rode his horses across the United States? It was my late husband, Russ who took this journey back in 1993. This story was extracted from various news articles that I found in storage and the memories of his story as he told it to me and his friend, Don Dickinson. I’m still regretting that I didn’t take along a tape recorder when we took a road trip on Route 66 back in 2003 reliving his past and from the sound of it he had quite an adventure on his journey. As I re-read what I wrote, I can’t help but wondered if our journey were meant to follow the same path in life. He took this journey before we ever met and if he finished his journey like he intended to, our path may have never crossed. A wonderful remembrance and tribute to Russ. Thank you for sharing with us. wow! now that, was an epic journey attempt! What cool history, and what an adventurer Russ was. This great story helps to further flesh-out the character of Russ for us who don’t know much about him, who never had the privilege to meet him. Well done, Ginamarie. Totally agree, Ry, you said it all! Great story Ginamarie. The spirit of adventure is in most people, few are courageous enough to attempt such an epic journey. Thank you. You’re right but there are many people who cannot for whatever reason pursue their dreams so they live it through those who do and write about it. While having heard some of this story from you, I had never considered the import of what this journey meant. What a fascinating man he must have been. And what a treasure it must’ve been too had known him . That adventurous spirit is not often found in this world today, I wish I had known him. Thank you Russell but I have a feeling that your path may have crossed at one time or another. He rode in the Cattle Drive a couple of years. One year, his friend’s horse bucked him off and landed on him. He broke his leg in four places from that accident. That was pretty much the end of his riding of horses and the start of his riding motorcycle once his leg healed. Hmmm, I hadn’t heard this story before, but as I was reading it, I thought perhaps you were using it as a parable of your own adventures this year. When I got to the part where you said it was Russ, I just got a BIG smile. Thanks for sharing this one!